Often we have more photographs, ephemera and other material to show you than will fit in the magazine. These online extras for each issue can be downloaded below. 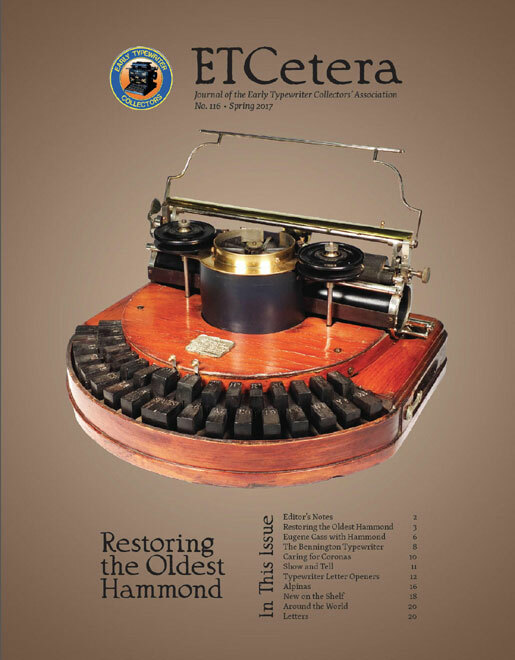 If you've missed this issue, you can order back issues on paper using the link above. 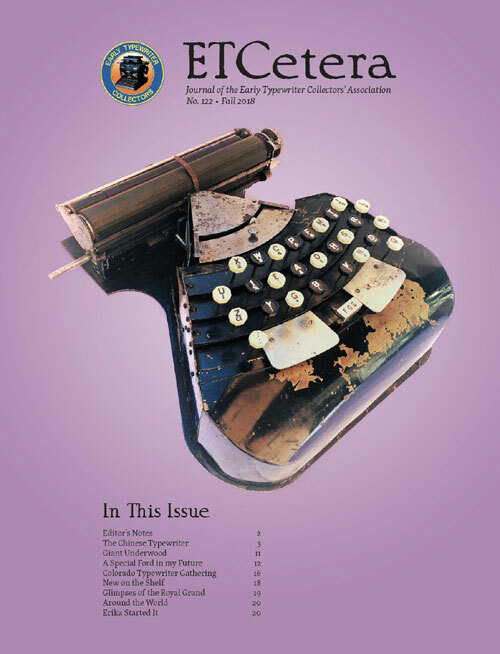 Letters to the editor, photographs, information, questions, articles, book reviews, and other items of interest to typewriter collectors are always welcomed. 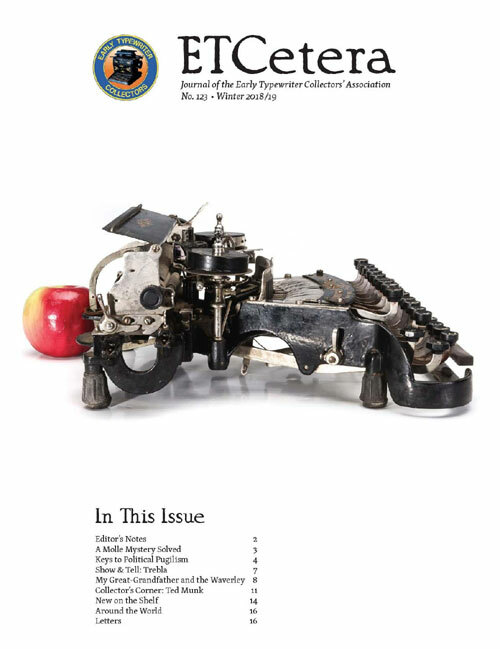 ETCetera invites articles that shed new light on typewriter history, based on original sources and firsthand experience.